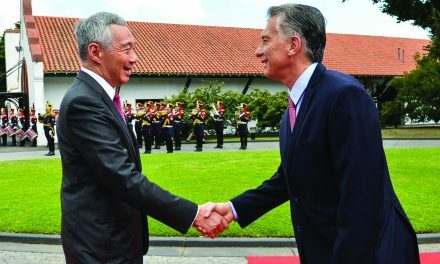 Prime Minister Lee Hsien Loong attended the 31st ASEAN Summit and Related Summits. 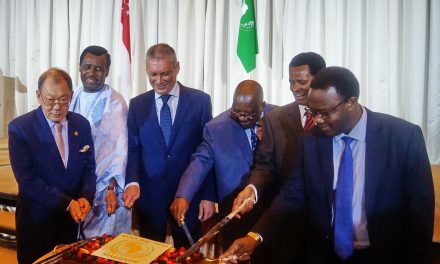 He was accompanied by Minister for Foreign Affairs Dr Vivian Balakrishnan, Minister for Trade and Industry (Trade) Lim Hng Kiang and officials from the Ministry of Foreign Affairs and Ministry of Trade and Industry. Prime Minister Lee was also accompanied by Mrs Lee Hsien Loong. The ASEAN Leaders took stock of the implementation of the ASEAN Community Vision 2025, and discuss how to take ASEAN forward. They also signed the ASEAN Consensus on the Protection and Promotion of the Rights of Migrant Workers and announced the official commencement of negotiations on the Code of Conduct in the South China Sea. 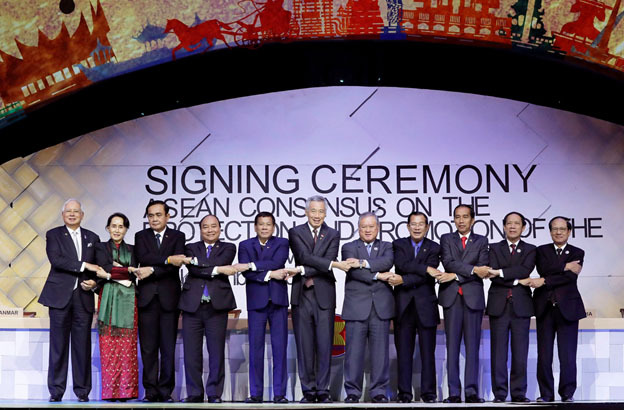 The ASEAN Leaders exchanged views on regional and international issues with their counterparts during the 20th ASEAN Plus Three Summit, the 12th East Asia Summit, and Summits with China, India, Japan, the Republic of Korea, and the United Nations. They also held Commemorative Summits with Canada, the European Union, and the United States to mark the 40th Anniversary of ASEAN’s relations with these Dialogue Partners. As Singapore will take on the ASEAN Chairmanship in 2018, Prime Minister Lee also delivered brief remarks at the Closing Ceremony of the 31st ASEAN Summit and Related Summits on 14 November 2017.